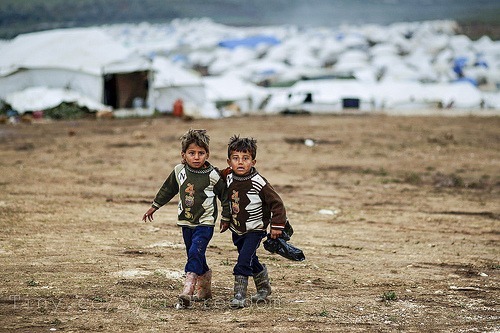 The decision by the British government to accept just several hundred refugees displaced by the conflict in Syria is a shirking of its responsibilities towards the suffering Syrian people. The Deputy PM Nick Clegg announced yesterday that Britain would not take part in a UN quota programme for refugees that would see 30,000 resettled in western countries but take in a maximum of 500. In contrast Germany has already taken in 10,000 refugees from the war-ravaged country. The coalition government believes that any large-scale commitment would jeopardise its policy of reducing net migration to the UK, itself a reflection of the xenophobic, anti-immigrant rhetoric currently dominating political and media discourse. IHRC believes that instead of pandering to the racist sentiment incited by the likes of UKIP, the coalition government should shoulder a greater share of the international refugee burden.